New Members are charged a one-time $25.00 processing fee to cover materials & admin costs. Timely renewals will not include this fee. 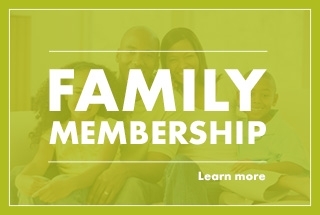 All memberships are "Family Memberships” good for 2 adults and all children less than 21 years of age living under one roof. Adult children 21 years and older must become members in their own right. Membership starts from the date the club receives your money and lasts 365 days. This date will show on your Membership Profile in our website and on your membership card. You are required to attend one of the twice monthly (reservations are not required) NEW MEMBER ORIENTATIONS before you get full access to the club. At the “New Membership Orientation”, among other things, a member will provide ID and have their photo taken to be attached to their Door Security Key/FOB which provides 24/7 access to the range, see the NMO Page for details. Members agree to provide name, mailing address, phone and email address. Members should keep their information current, by checking their website personal profile on a regular basis. (link to privacy info). Incredible group of volunteers, friendly and helpful members, and a great resource for both new and seasoned shooters. Clean, no nonsense shooting. Free classes and the opportunity to shoot a variety of guns with instructors. 24 hour access, private, safe environment and club members with the same passion and respect for firearms. If for any reason you are not completely satisfied with the facilities or management, we will gladly refund your dues ($75.00 X # Years paid) within the first 60 days from the payment date. The initial $25.00 processing fee is non-refundable. You can check our FAQs or send them to the Membership Crew. If no questions remain, select an option from below. Timely Renewals will not include this fee which covers FOBs, New Member Orientation materials & Admin fees. Payments are handled via https://paypal.com which allows users to make payment with any major credit card or paypal balance. When you click on the paypal link below you will be sent to their secure website where your information will be collected along with payment source. You will then be sent back to this website and logged into your "Member Profile" page. Members can access this page via the link at the top of the website titled "Login" at anytime.